These blinks are about the invisible people of our society: those who work hard because of their own intrinsic motivation rather than the prospect of reward. Even though we can’t see them, they’re the backbone of society. 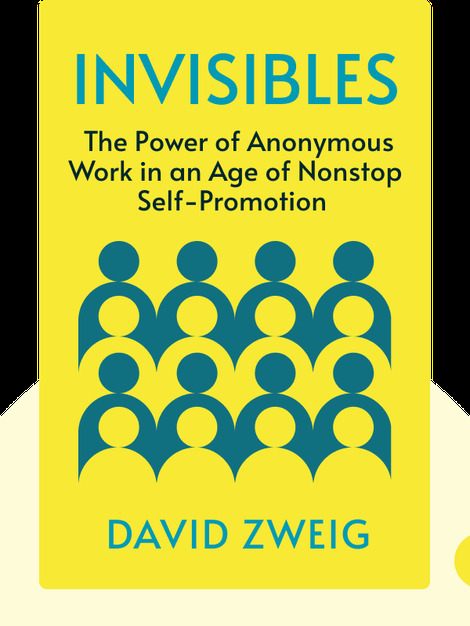 However, current cultural attitudes are diminishing their role, and if we want to improve our world, we need to rekindle our appreciation for Invisibles. 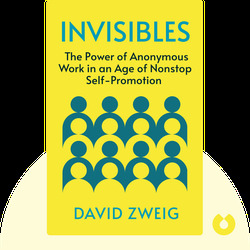 David Zweig is a prolific writer whose work has been featured in the Atlantic Monthly, the New York Times and the Wall Street Journal. He’s also a singer, guitarist and producer, and has released two albums. His first novel was called Swimming Inside the Sun.